A timeless design inspired by the famed sand dunes of the Sahara Desert. Shades of blue appear to float like an inviting oasis of coolness on a warm golden background set in an intriguing geometric edge border. Skilled artisans combine loop weave and French Savonnerie pile weave techniques to create a distinctive, sculptured look for this exquisite and very durable cut & loop pile rug. 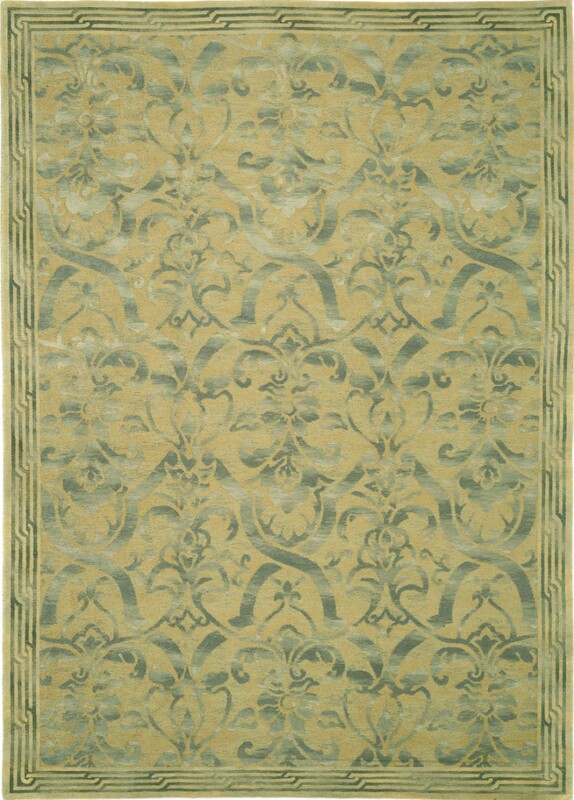 By using a complex yarn of interwoven yarn strands in varying shades, a visual effect of shimmering color is created that is reminiscent of rare antique rugs.